Do you know what side effects does tetanus shot bring? Do you know when to see a doctor for those side effects? Get all answers and necessary info here! 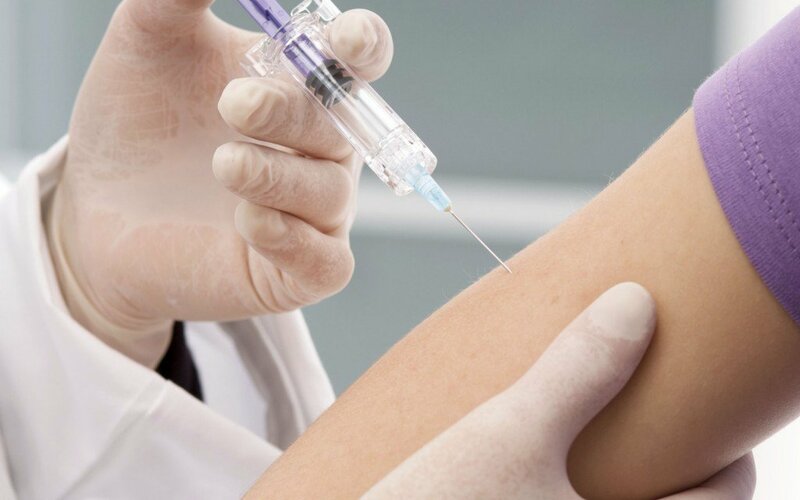 A tetanus shot contains the tetanus toxoid which causes lockjaw, a condition which causes muscle spasms which become significantly more pronounced as the disease takes hold. These convulsions can be so severe that they can fracture the spine. Exposing the body to small, controlled amounts of this disease will allow the body to build up antibodies which help prevent the body from contracting the disease. Most people are recommended to get a booster tetanus shot every 10 years. Those who are exposed to items such as rusty metal that can expose the patient to the tetanus virus may be given a booster if their most recent shot was more than five years ago. The tetanus booster can be administered in a suspension or solution form as necessary. Pain around the injection site: most people who are given tetanus shot experience pain or discomfort around the injection site. The area may also become itchy, tender or swell. This pain is not particularly noticeable in most cases and will cease after a few days. In less common cases the limb which was given the shot may feel numb and the injection site can become hard. A mild pain reducing medication can lessen this side effect. Headaches or upper respiratory infections have been reported in approximately one third of patients who have received a tetanus vaccine. These side effects can appear within two weeks of exposure to the shot. The side effects in this case are usually mild and fade after a few days. Over the counter medication can be used to minimize the unpleasant tetanus shot side effects. While some patients may not experience an upper respiratory infection, but similar symptoms including sore throat or stuffy nose may linger after receiving the vaccine. One in seven patients may also experience cough, abdominal pain or abdominal pain. This is often accompanied by joint pain, particularly in the area where the shot was administered. Diarrhea: in less common cases patients will experience diarrhea for a few days after receiving a tetanus shot. Diarrhea should not be severe, watery or contain blood. These side effects are signs that the patient is suffering from an additional medical condition which will require a doctor's attention. Fever: approximately one in one hundred patients will develop a fever after receiving a tetanus vaccine. Taking fever reducing medication can help return the body temperature back to normal. Allergic reactions: some patients are allergic to the ingredients in a tetanus vaccine. Those suffering from an allergic reaction to a tetanus shot may experience reddening of the skin, most notably around the ears, sudden extreme fatigue, itching which is concentrated in the feet and hands, hives, and swelling in the throat that can make it difficult to swallow or breathe. These tetanus shot side effects will come on suddenly shortly after receiving the vaccine. If you are still at the doctor's office, call for assistance right away. If you have left already, contact emergency medical services immediately. Blood in urine or stool: in very rare cases patients may suffer from blood in the urine or stool after tetanus shot. This can be caused by inflammation of the intestines or the stomach or damage to the kidneys. Seek medical attention when this side effect occurs so you can determine the cause of this blood and address the main cause as quickly as possible. Pneumonia: due to the heavy impact a vaccine has on the immune system, patients can develop pneumonia after having a vaccine. This side effect is rare and is often developed by those who are already immune suppressed. Those who are at risk for pneumonia or have an immune disorder should talk to their doctor about whether it is safe to get a regular tetanus shot. If you begin to suffer from any symptoms of pneumonia including heavy coughing, sharp pains in the chest, fatigue or discharging phlegm contact your doctor for an examination. Those suffering from a negative reaction to a tetanus shot will frequently experience confusion, irritability or excessive fatigue. If you begin to experience these symptoms or seizures fevers higher than 103 degrees Fahrenheit (39.4 Celsius), severe ongoing headaches, swelling and blistering at the injection site or in the glands near the armpit or severe vomiting should contact medical help immediately. While these side effects are not necessarily fatal, they are signs that your body is suffering from other conditions that could be extremely dangerous if they are left unchecked. Children who are receiving a tetanus shot should be watched carefully to ensure that they are not suffering from tetanus shot side effects. Check the area where the injection was given frequently to check for hives or excessive redness along the area and whether or not they are having trouble moving the arm. Children may have a lower appetite than usual or may appear fussy and uncomfortable. Those who are too young to talk may cry excessively or show signs that they are in pain. If you are concerned about your child's condition, contact your doctor and describe any symptoms that appear to be present so that they can determine whether or not medical attention is necessary. Very young children receiving a tetanus shot may be kept for monitoring after the shot is given so that any necessary treatment can be administered right away. What Are the Side Effects of Meningitis Vaccine?